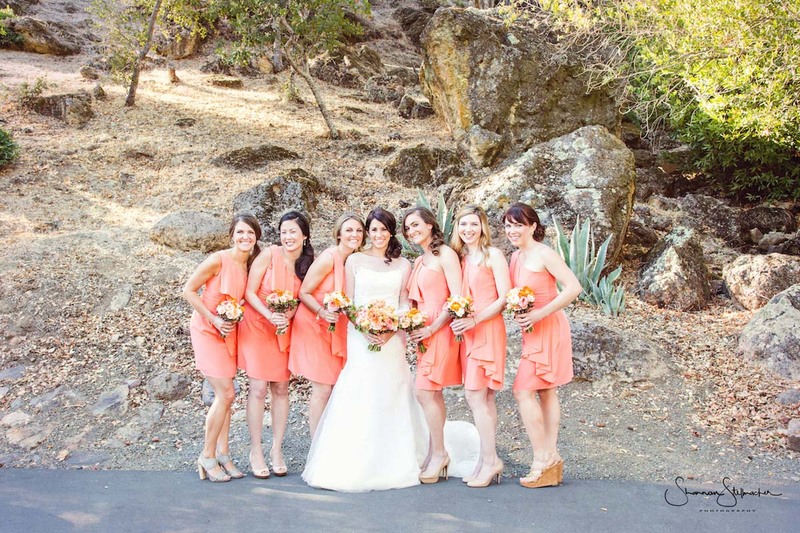 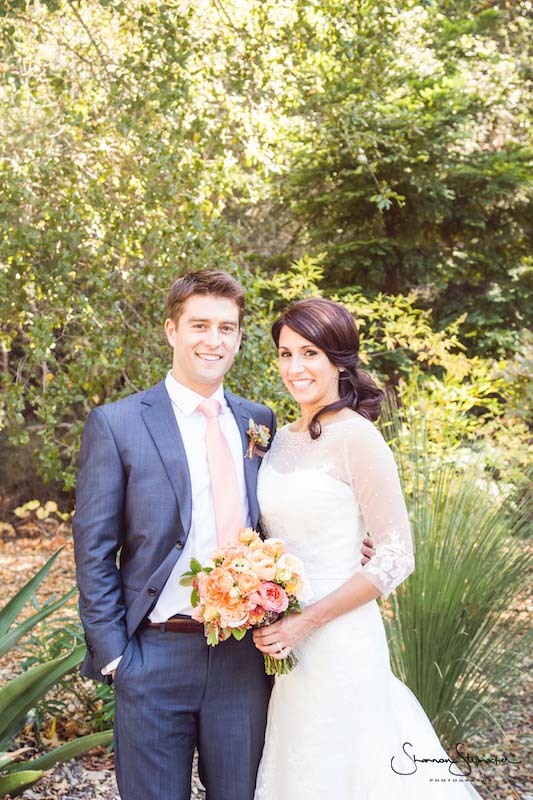 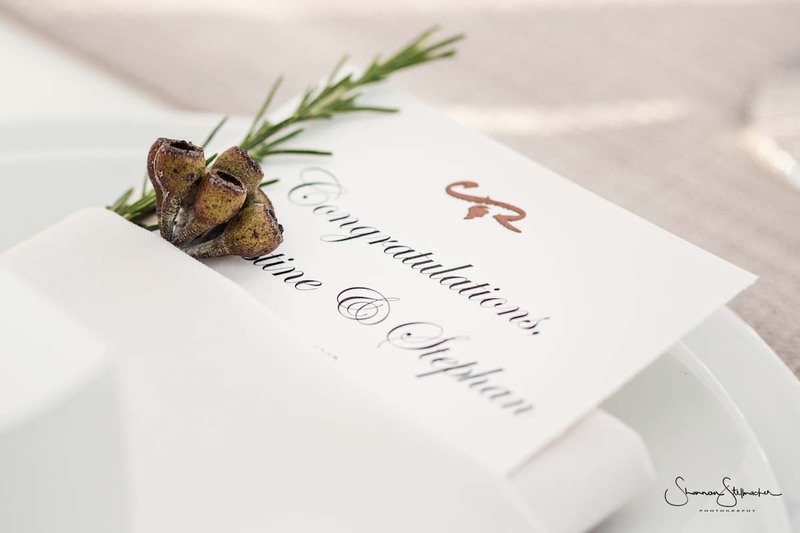 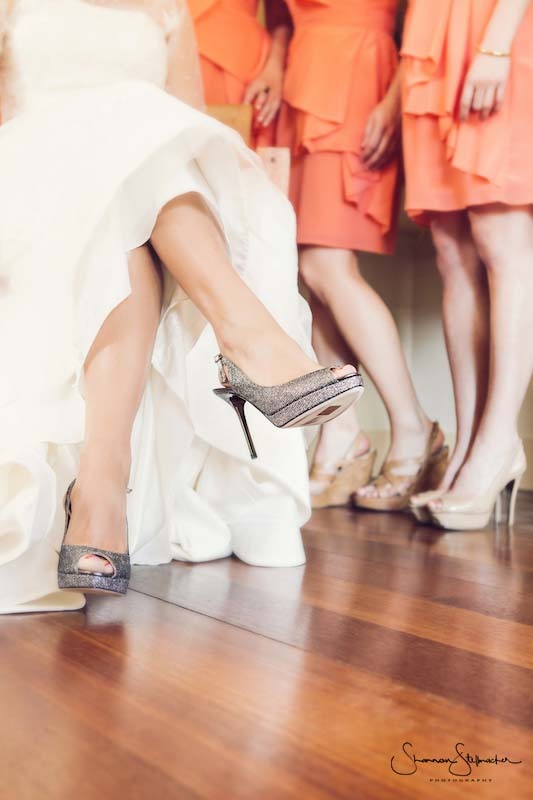 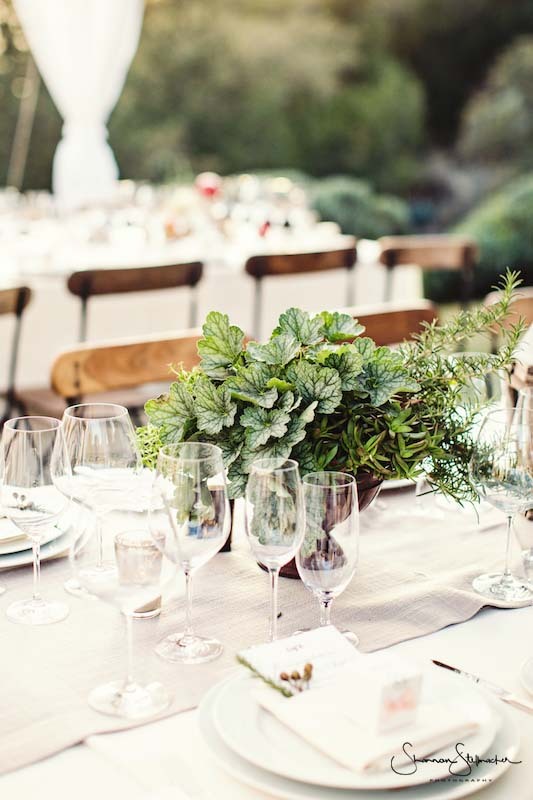 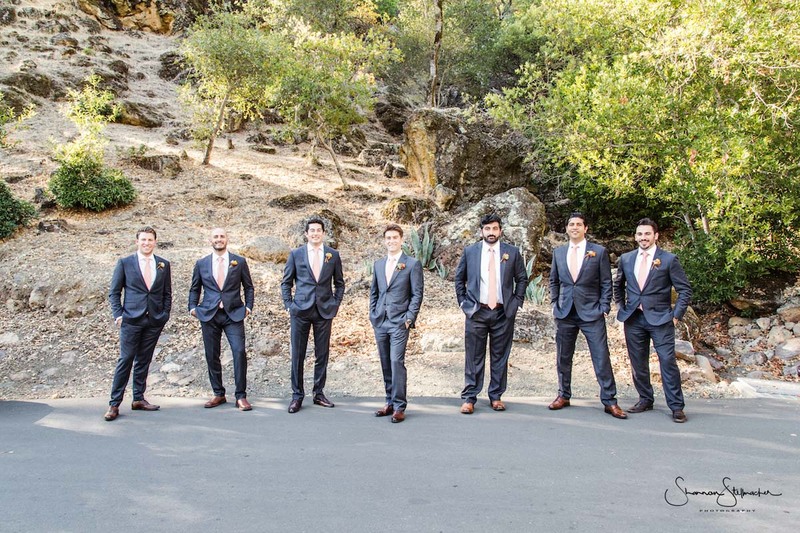 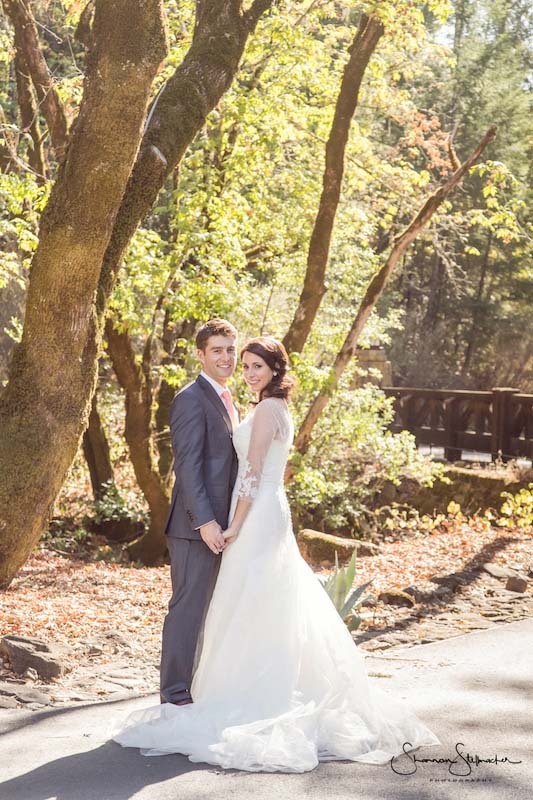 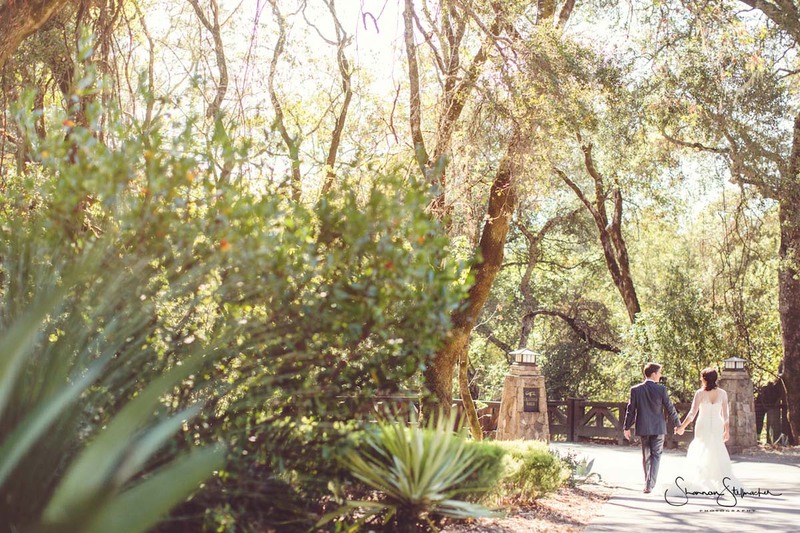 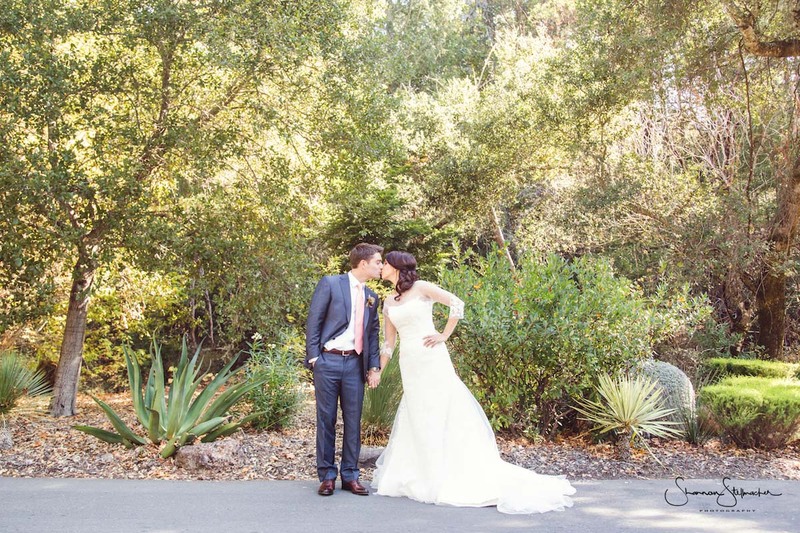 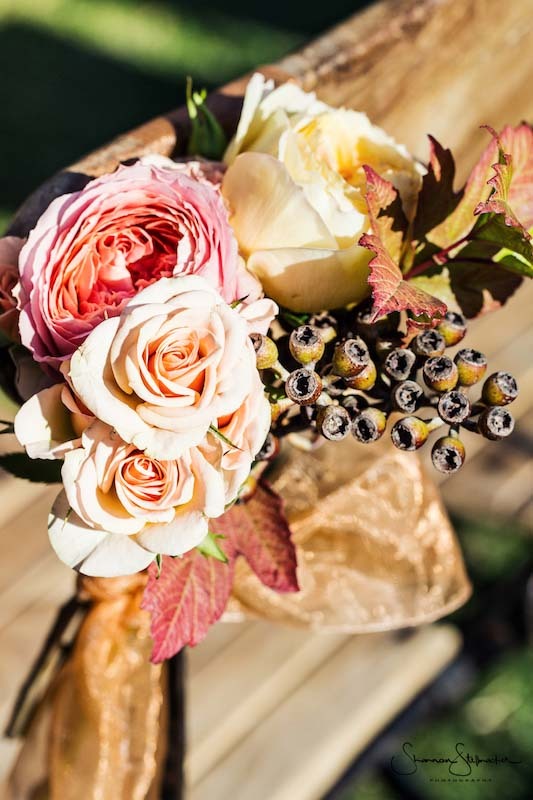 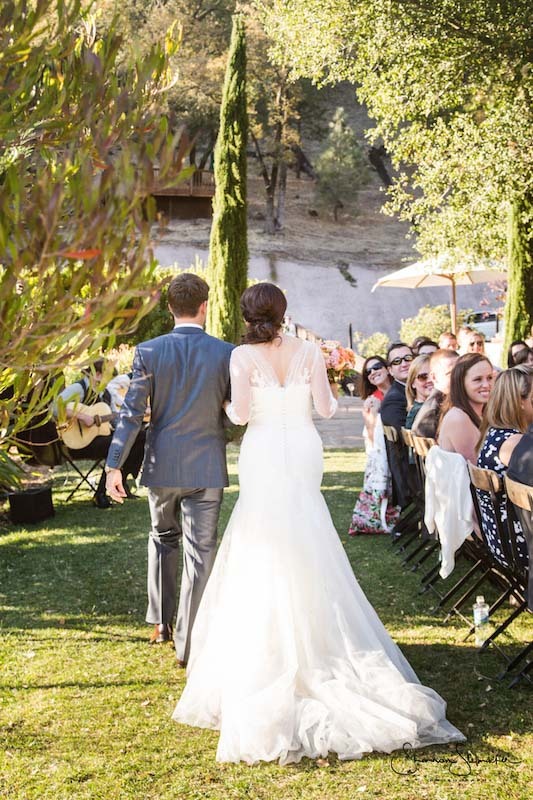 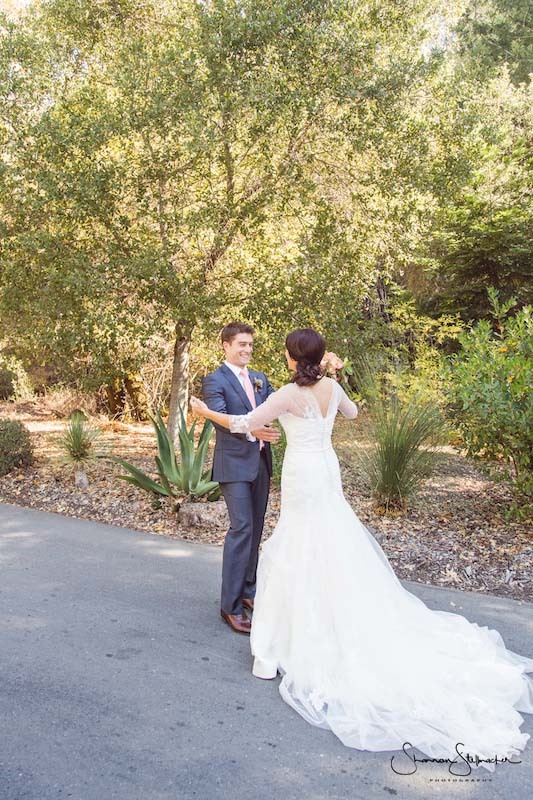 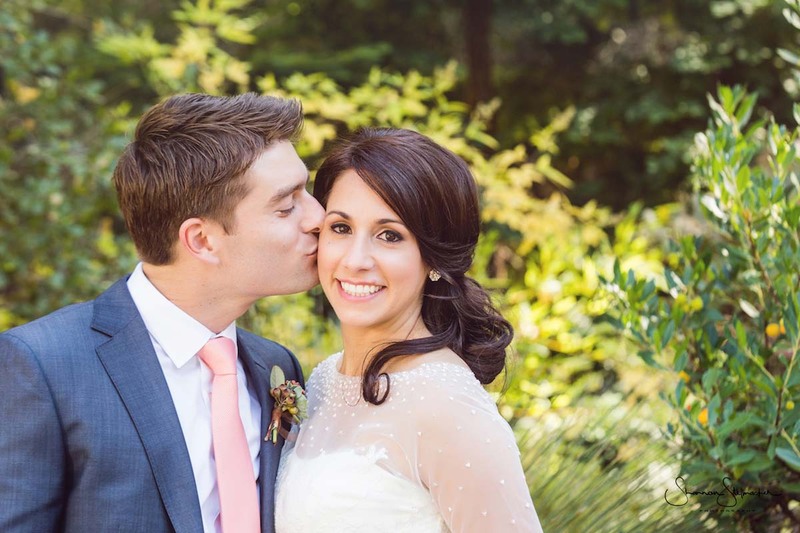 It was a glorious day in October when Christine & Stephan married at the beautiful Calistoga Ranch. 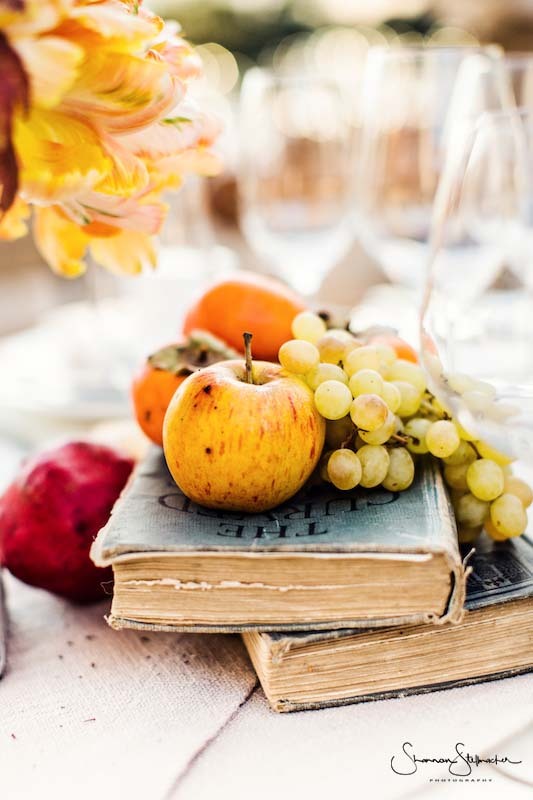 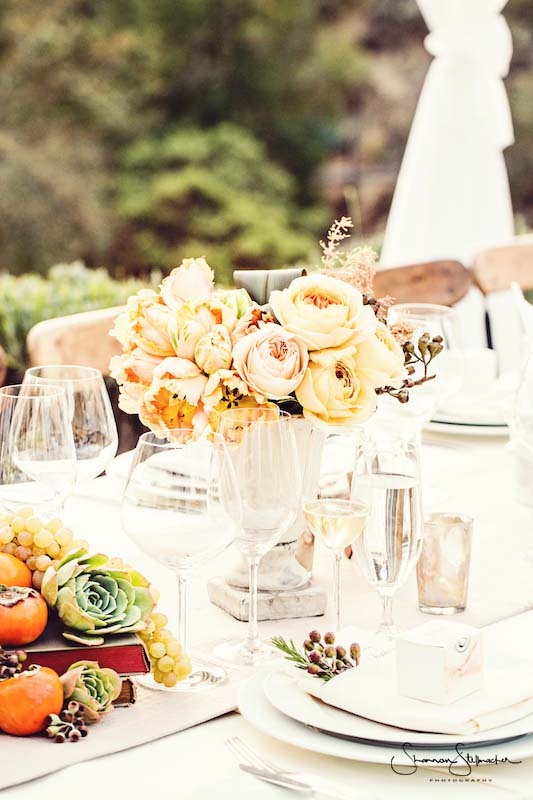 She, from a gregarious Italian family and he, from an artistic French family, desired to create a perfect meritage of culture and tradition while pairing it with delightful and charming quirkiness. 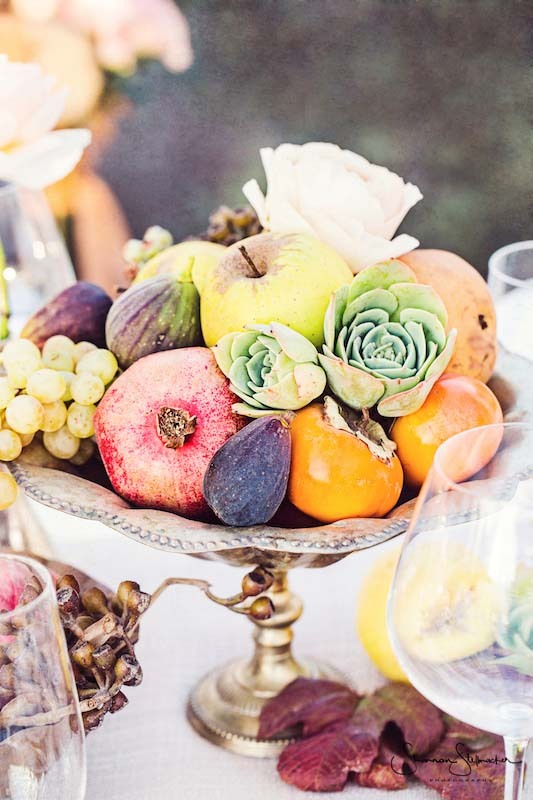 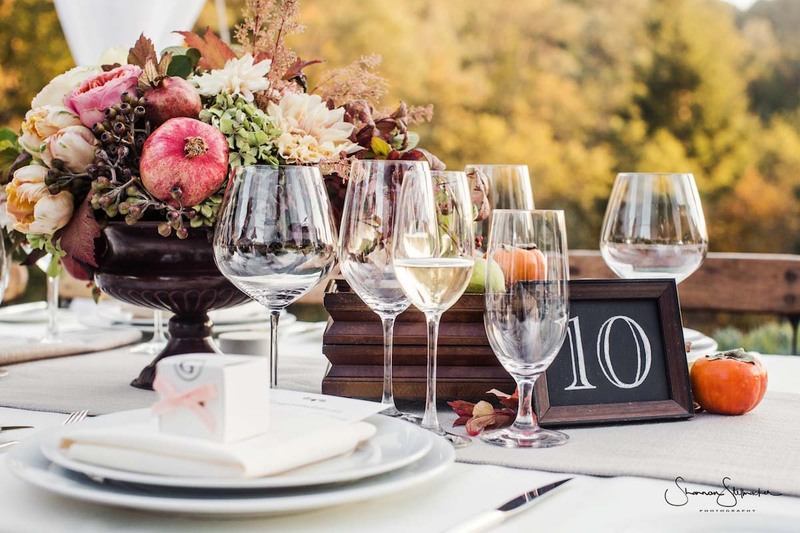 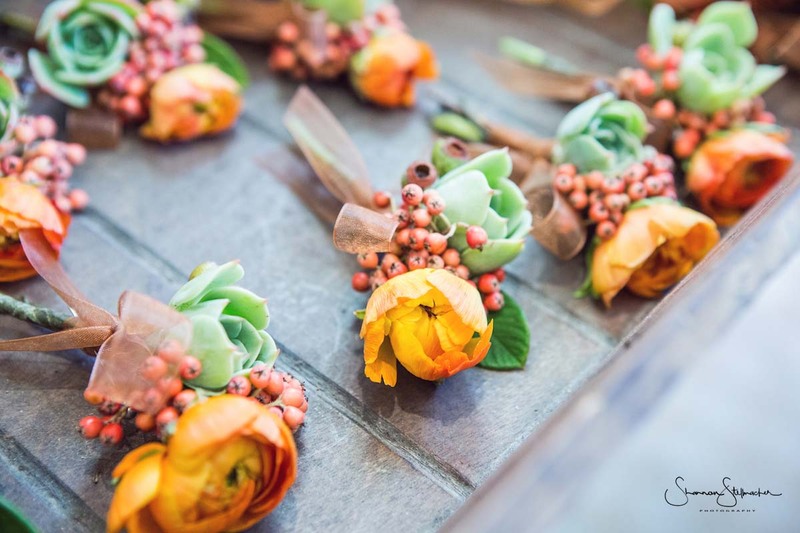 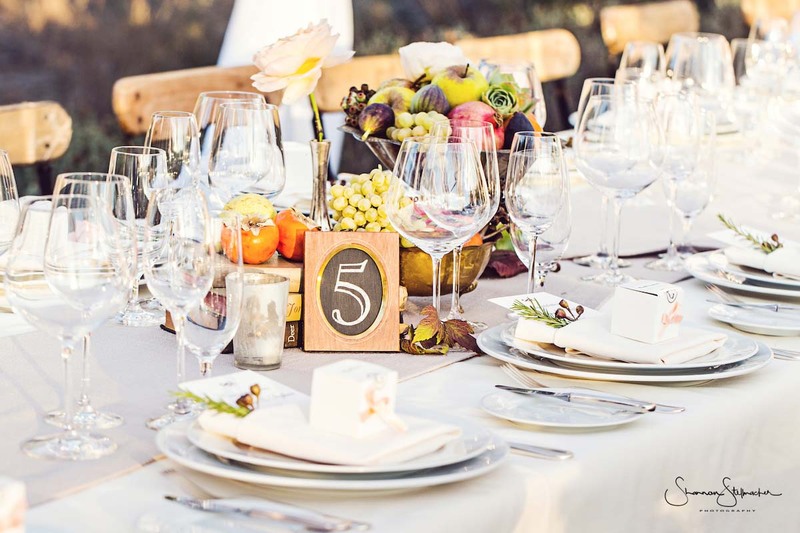 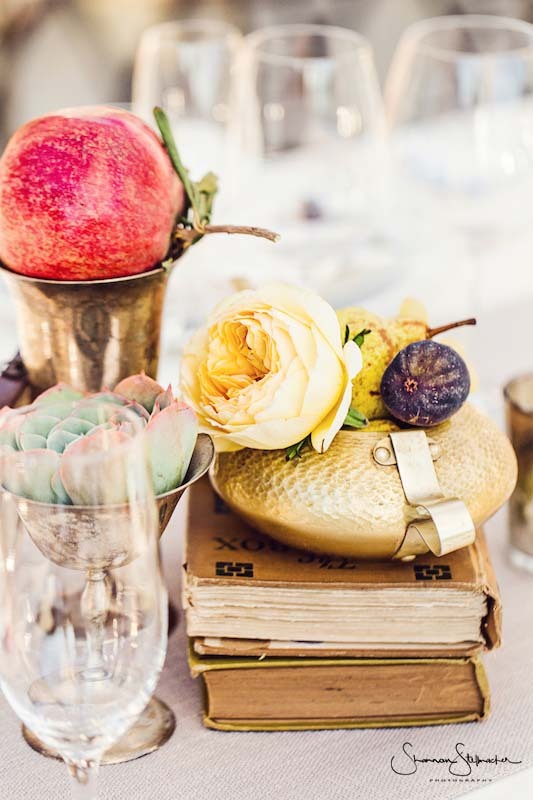 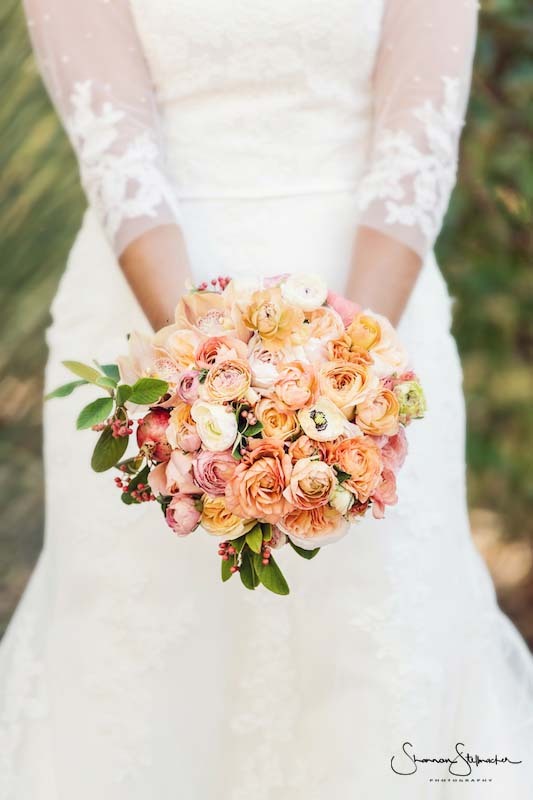 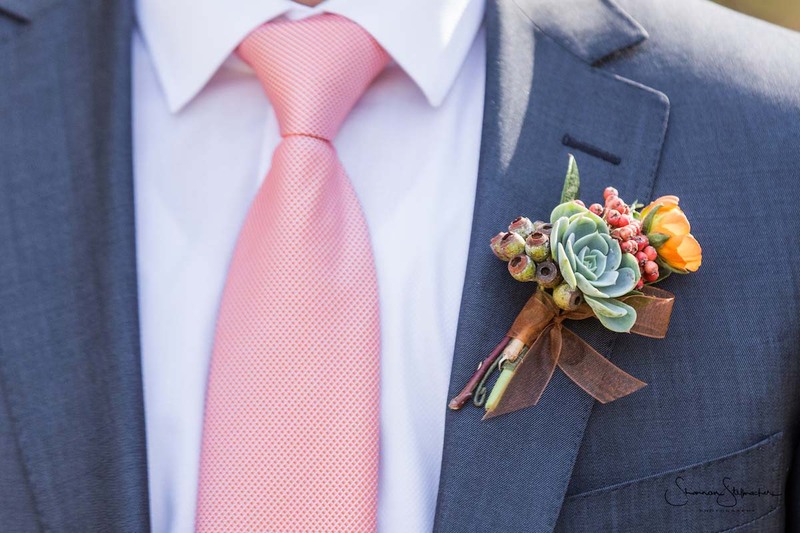 Their palette was inspired by the fall season and Calistoga Ranch provided a perfect neutral backdrop to showcase punctuations of persimmon, pomegranate and mahogany. 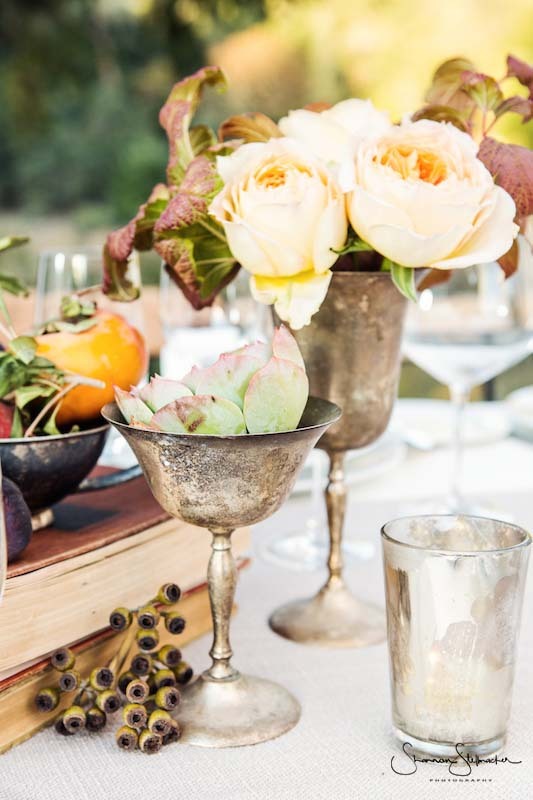 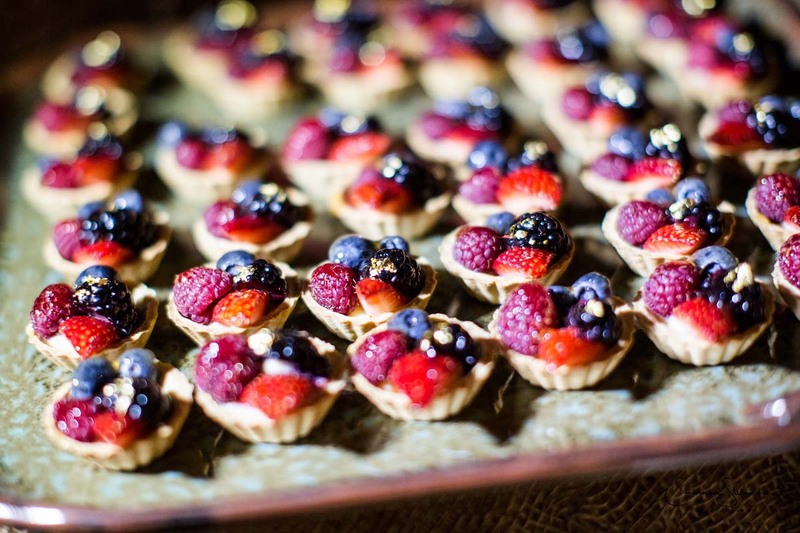 Guests were greeted with tart libations and swells of Django music upon arrival. 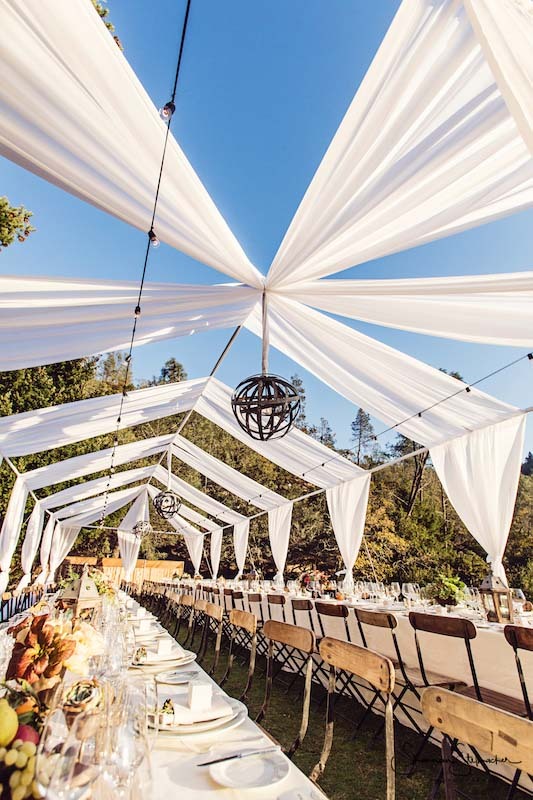 Under wine barrel band chandeliers, an open-air fabric tent and the stars, large ornate Italian family-style platters were passed between guests. 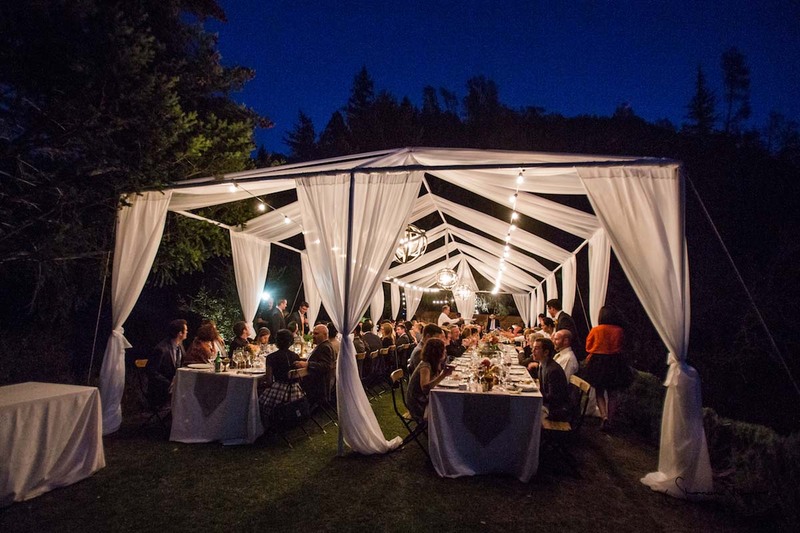 After dinner, guests were formally invited to the wine cave where a lounge style setting kicked off an unforgettable celebration.